SALE 30% OFF! 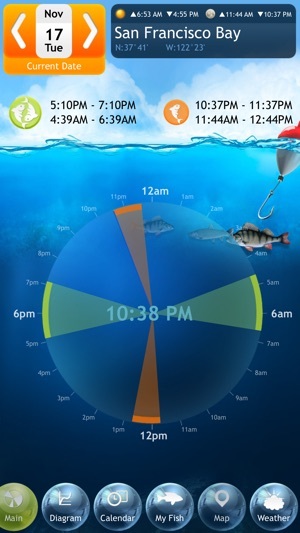 The app gives you the best fishing times for your location, so you can plan fishing trips much better! What people say: …For years I've owned hundreds of dollar worth apps but not many of them are staying long in the home screen. 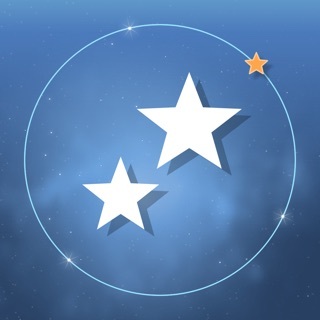 But not this one, it's a mainstay, it's one of my most favorite app, it's a fish killer! A well designed app and a best friend for outdoorsman. 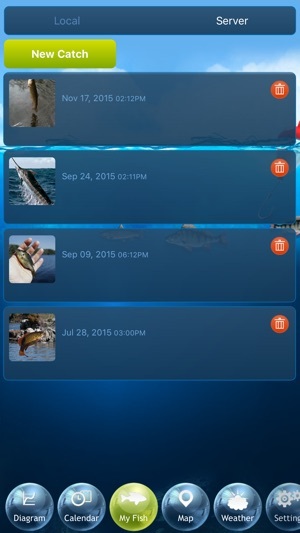 What people say: …This fishing app stand alone at the top. I use it for freshwater fishing and it's right on point with the best bite times. The last time I used it I couldn't bait my hook fast enough to keep up. 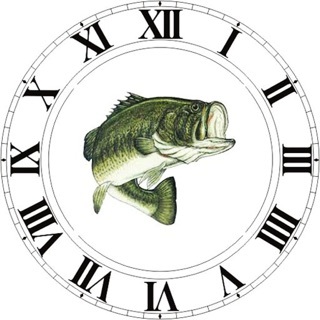 Get a forecast for best fishing times for your specific location. 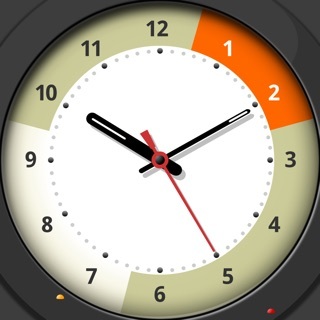 Display them in three different ways: on a calendar, time chart and dial. When best days for fishing are displayed on a calendar the more bars you have on a day, the better it is. Double tap on any day to add daily notes. 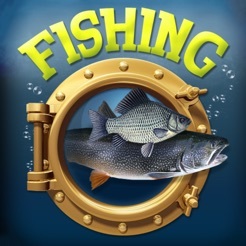 The app provides you the best fishing time for any past or future time and any location. Not only you get the best fishing dates and times, but also you will be always ready for any weather conditions with the weather forecast: get temperature for the next five days, humidity, cloudiness, wind and pressure. Store photos of your catches along with best fishing spots and weather conditions, and later use this valuable information for your reference next time you go fishing. Always know where you are - the app automatically uses GPS to tell you your location on the map and where you need to go to get to your fishing spots. To set a location manually tap on the location box on the top and set your position on the map. Just click and share photos of your best catches with your friends – it is that easy! Turn it on and never be in the dark. Set up the blink rate and choose continuous or intermittent mode of operation. Many apps require Internet connection to start working. With Fishing Deluxe you can go to any fishing spot without Internet and still get the best fishing time! 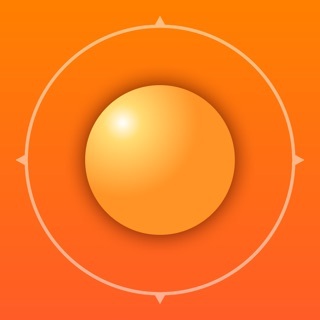 With in app purchase enjoy new features: tides forecast, offline maps, compass and track recording. While recording tracks the app uses GPS in background mode. It may dramatically decrease battery life. 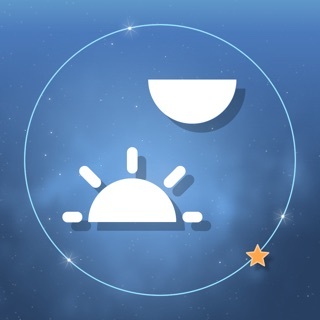 Your support would greatly help us to improve the application. We appreciate your suggestions - email our support team how we can make the app even better! I love all the useful data this app provides. It seems fairly accurate also. I was fishing during the secondary time (orange) and the bites started on time and ended on time. Was actually kinda weird. 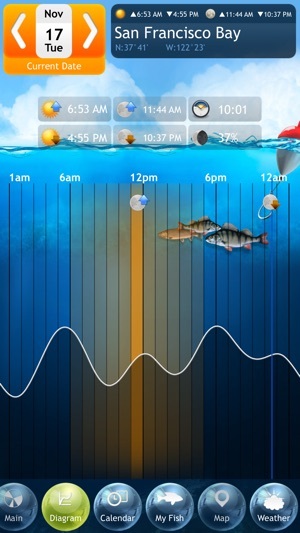 If you are looking for an app that shows the good times to fish, the tides, the weather, and pretty much anything else you could want, this is it. 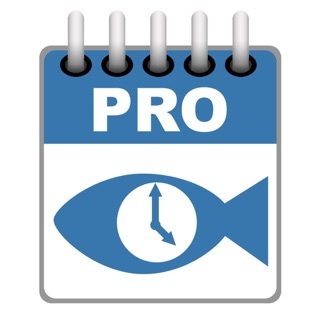 I have used others and they are ok, but the feature that really sold me is how this app shows you how active the fish should be (on the calendar view). I just wish the activity level showed on the main page. 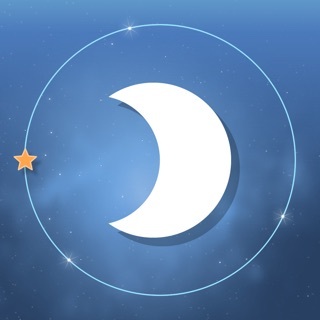 I have enjoyed this app and is one of my favorites that I have used that is however until the recent update. Now you have to subscribe for a monthly fee for the new features that the update comes with. When I purchased the app it was to get the app with the updates that made it better. I wouldn't even mind paying a one time fee for the features of say 4.99 but to pay monthly how much will this app cost over the course of owning it? 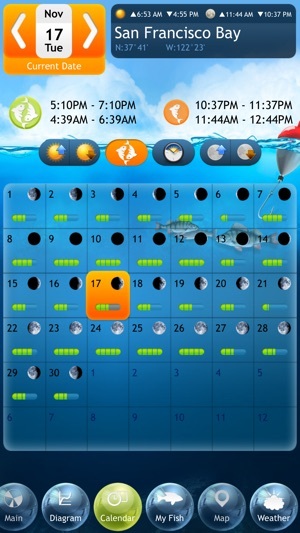 This app appears to predicts good fishing times based only on fixed factors like moon phase. Although it provides weather information, it does not take weather conditions (for instance temperature and barometric pressure) into account when predicting good fishing times. We used it for 10 days of fishing in lakes of upstate NY, and found there was no correlation between our success and the predicted "good" fishing times. We caught many fish during "bad" times and often got no bites during "good" times. 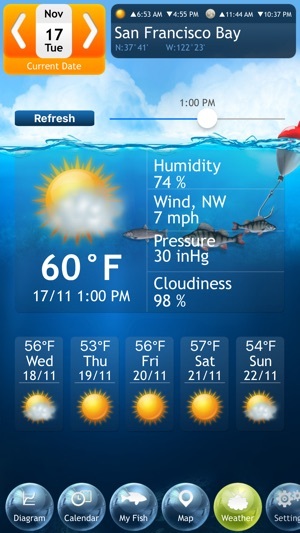 I think the app would be much better if it took into account changes in barometric pressure when making predictions, since that is a known predictor of good fishing times. Don't waste your money on this app.